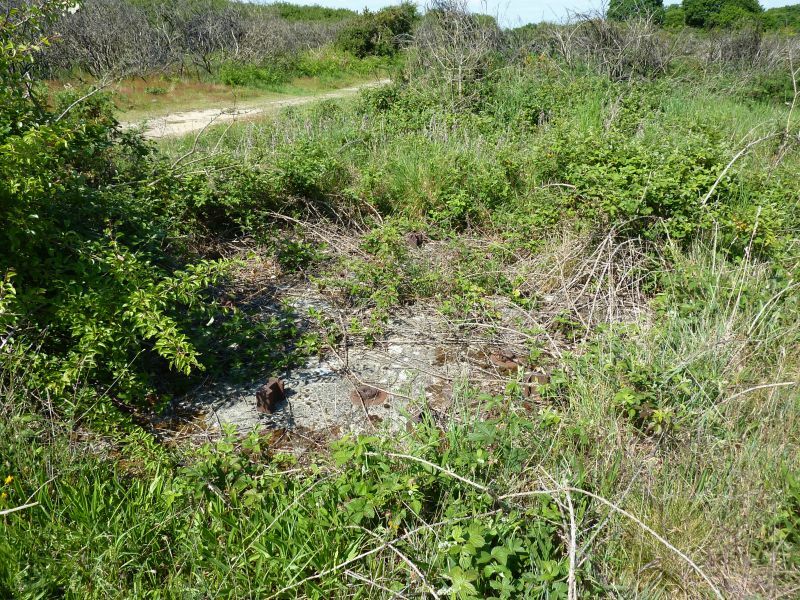 Gilkicker AA Gun Site, designated P3, was one of three AA gun sites built at Gosport as part of the Portsmouth Anti Aircraft defences. The other two were were completed at Holbrook and Browndown. Although it was named Gilkicker AA battery it was a considerable distance from Fort Gilkicker and Gilkicker Point. 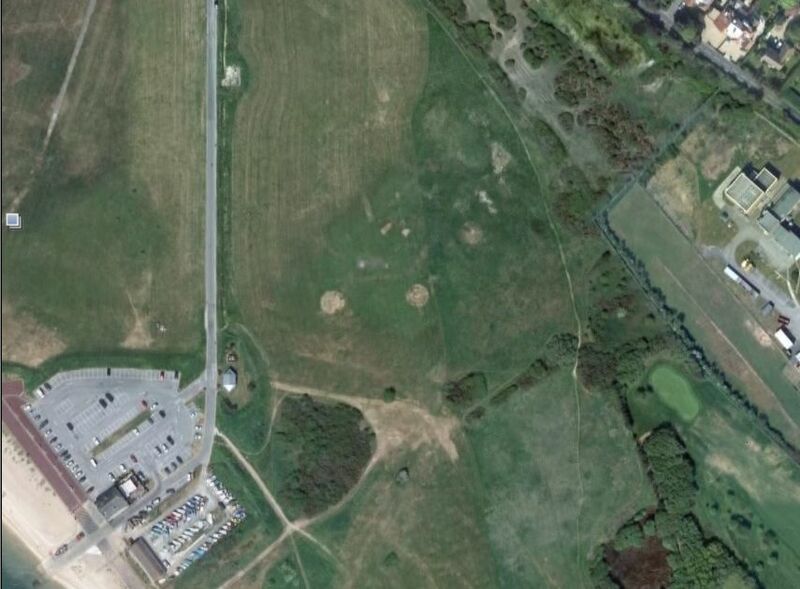 The Stokes Bay Gilkicker AA site site was north of the modern Gosport and Fareham Inshore Rescue Station. 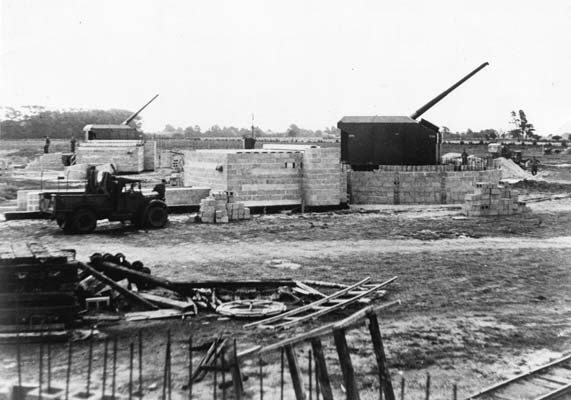 Gilkicker AA Gun Site held four 4.5-inch static AA guns in 1942 (one source - Ted Jones writing in David Maber's book Blitz-Bombs on Alverstoke, states that at first two of them were mobile 3.7inch guns. 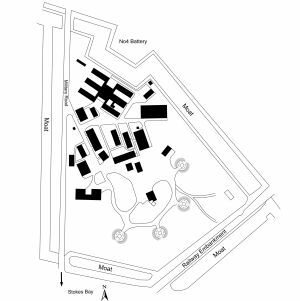 In June 1940 a policy change was accepted that as many sites as possible would become static sites with four guns in each site. No surface features of the site remain, although the four concrete bases on which the guns stood can sometimes been seen underneath the grass in dry weather. 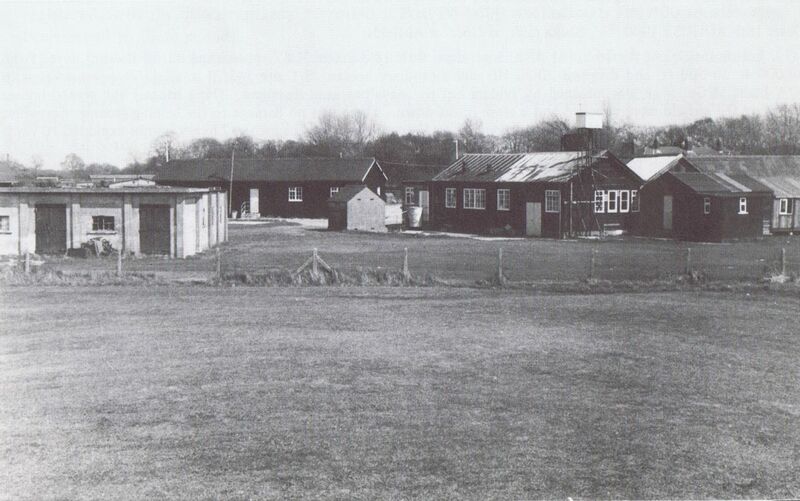 The Gun Operations Room for Gosport AA defence was in Fort Monckton whilst the Master Gun Operations Room (Sector Control) for the entire Solent Sector was in Fort Fareham. 214th (Southsea) 215th (Gosport and Fareham) Battery: Gosport. 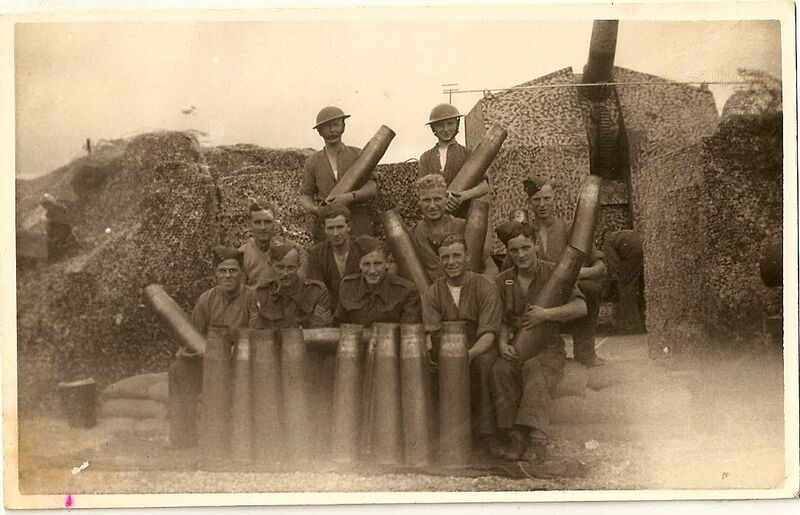 R/457 (Gosport) Heavy Anti-Aircraft Battery RA(TA) No 6 Company Gosport. 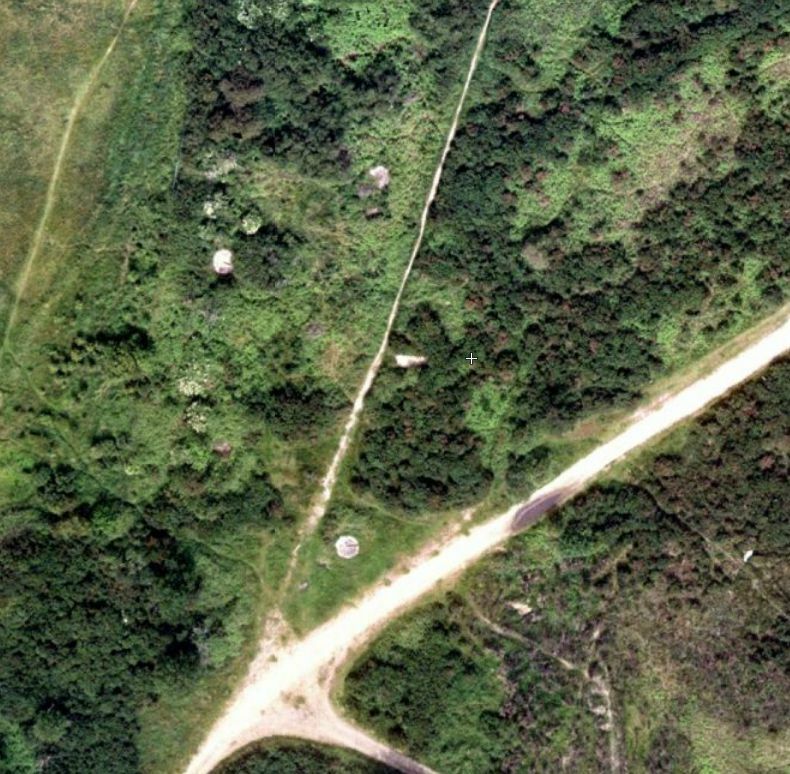 The site with the four concrete emplacements just visible. 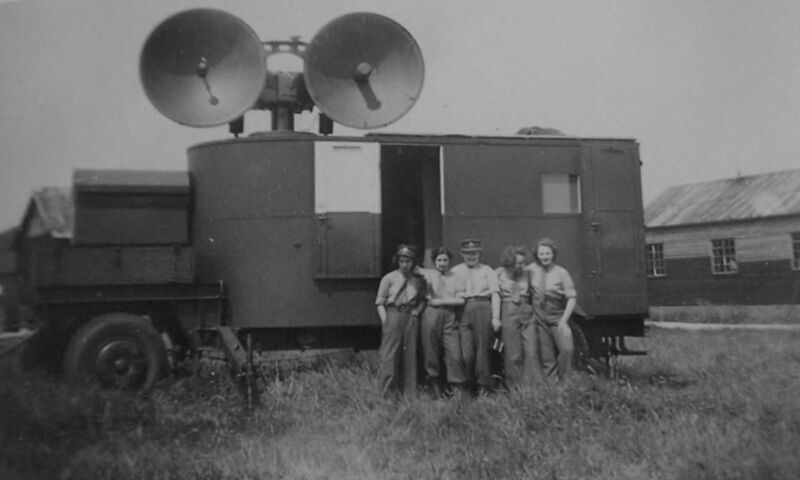 214/57th HAA Regiment, C section (a Southsea Bty) at Gilkicker AA Gunsite. Keith Peters (sitting front centre next to the Sergeant). Photo (c) kindly supplied by John Peters. Some concrete marking the foundations of the gun emplacements can still be seen in dry weather. 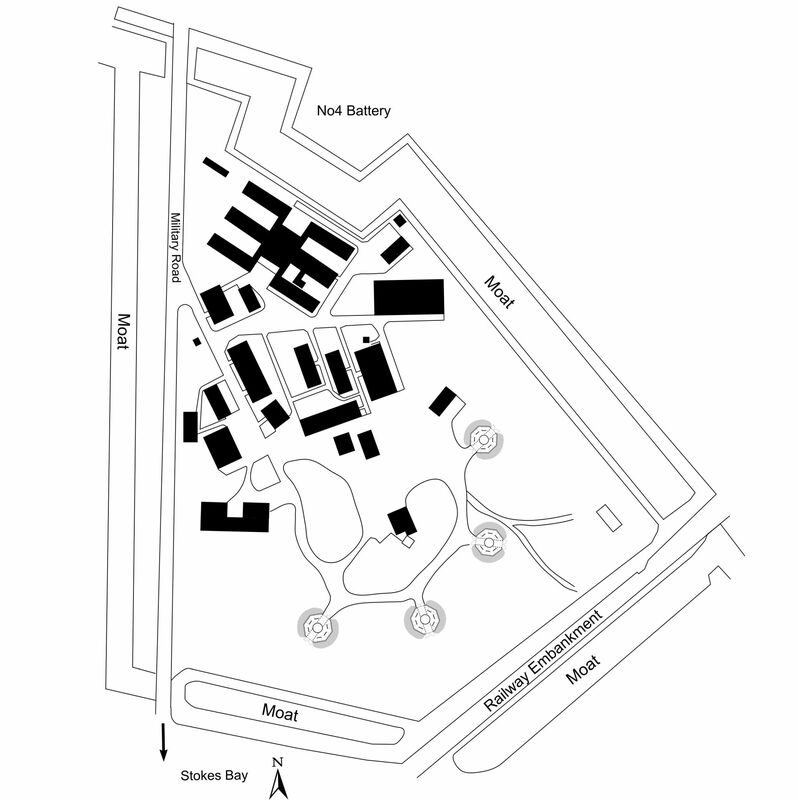 Plan of Gilkicker AA site based upon surviving remnants of gun emplacements. 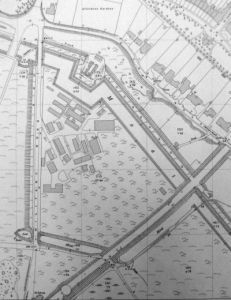 Close to Gilkicker AA site, north of the paddling pool was an octagonal mat for a G.L. 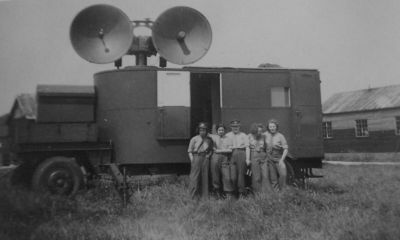 Radar. A barrage balloon was moored at Fort Gomer with another at the School of Electric Lighting site near to Fort Gilkicker. 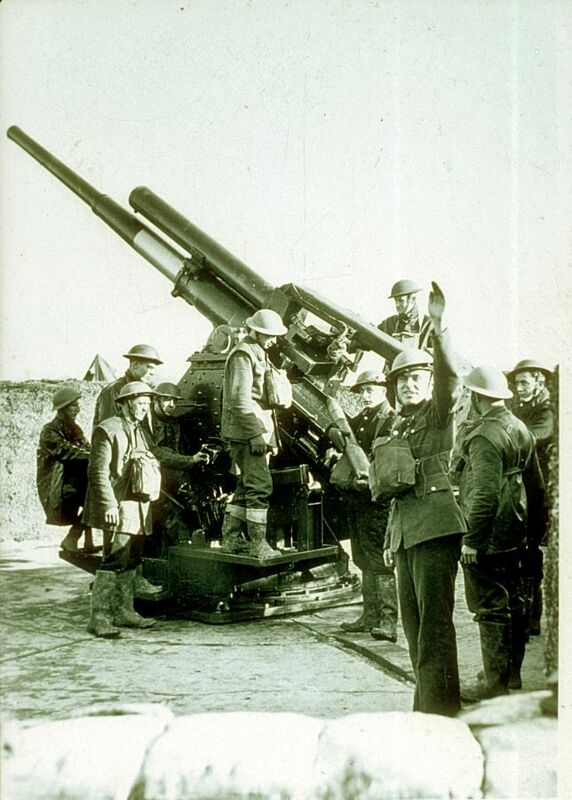 A searchlight was mounted to the west of Fort Gilkicker with another at No.2 Battery. All searchlight sites were protected with an AA light machine gun for use against low flying aircraft. 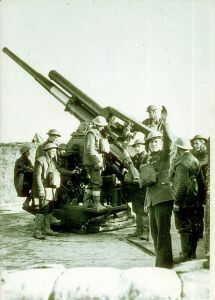 Within Fort Gilkicker was a 30mm Bofors later replaced with a 20mm gun. 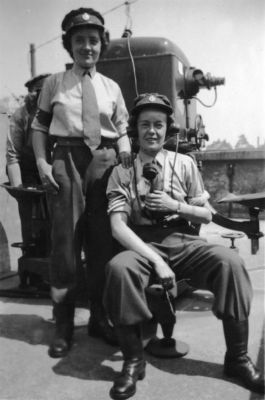 An unspecified AA gun was located in Stanley Park, which was then a private garden, with another AA gun at Haslar Hospital (1 light gun and one machine gun). There was a 2pr Mk2 twin at Haslar Gunboat Yard. This was designated as P40 and was at the west end of Browndown Road at O.S. Grid reference SZ 579996. It held four 4.5inch AA gun which replaced earlier 3.7inch guns. 3.7-inch gun at Browndown AA Battery. Summer 1940. 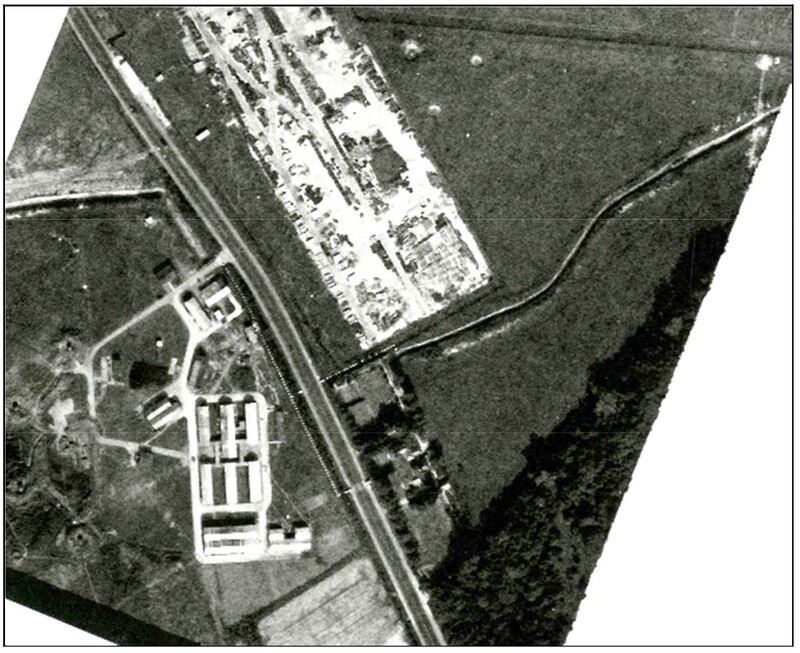 This was designated as P4 for four 4.5inch AA guns and was to the west of the A32 at Holbrook O.S. Grid reference SU 592021. The gun emplacements were destroyed in the 1980s, sadly no one thought to photograph them first. Nothing of this site remains today. 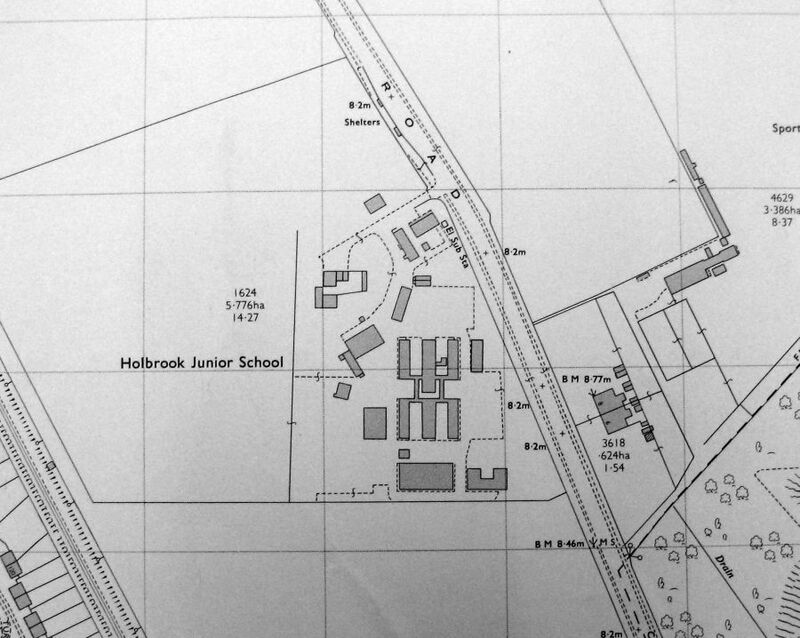 The hutted accommodation at the site was used for many years after the War as Holbrook Junior School. The gun emplacements were to the left of the hutments. 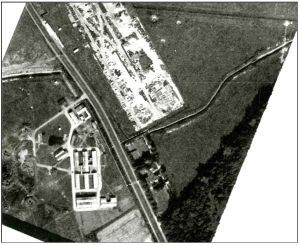 Aerial view of Holbrook AA gun site: post war (1960s?). 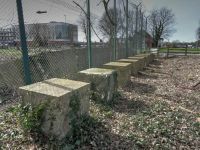 The Holbrook site was protected by two stop lines of Anti Tank blocks. Each block is a cube of mass concrete 3 feet square with 2 feet 6 inches above ground level, set at 6 feet centres with a gap of three feet between each. 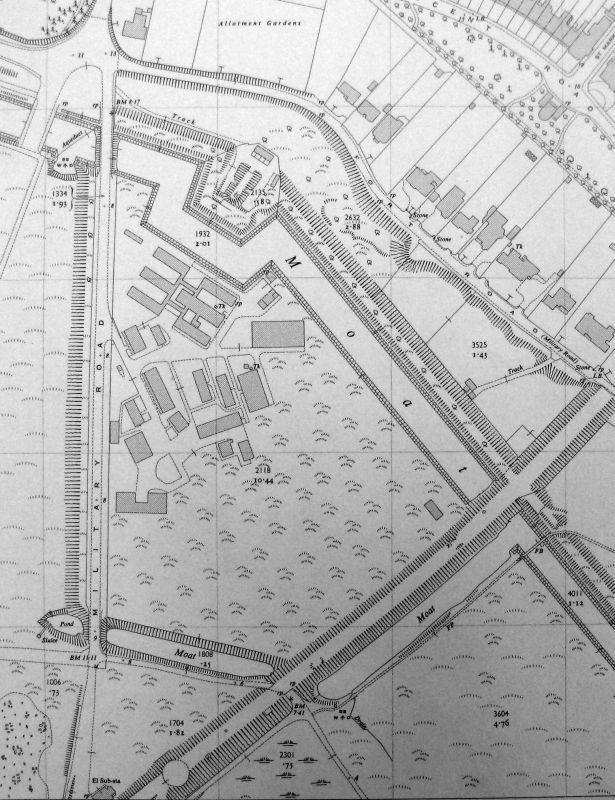 One line ran parallel to the Fareham road along the east boundary of the AA site. The other ran west to east along the line of the path to what became the Civil Service sports ground. Temporary blocks were placed across the road when needed. 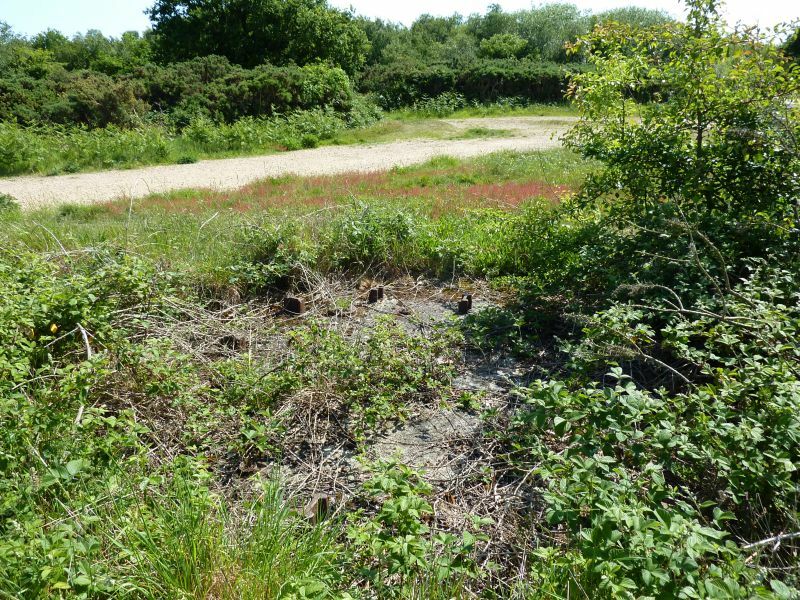 The first line has been completely removed but nineteen of the second line remained, hidden in the bushes until 2017 when the site was cleared in preparation for development. 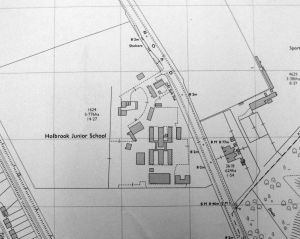 In 2017 a proposal to develop the site east of Holbrook, named Brockhurst gate, called for the line of Anti Tank Blocks to be resited. The tank blocks protected the road where it cut through the middle of an Anti Tank Ditch running from Rowner Church to Elson Creek. 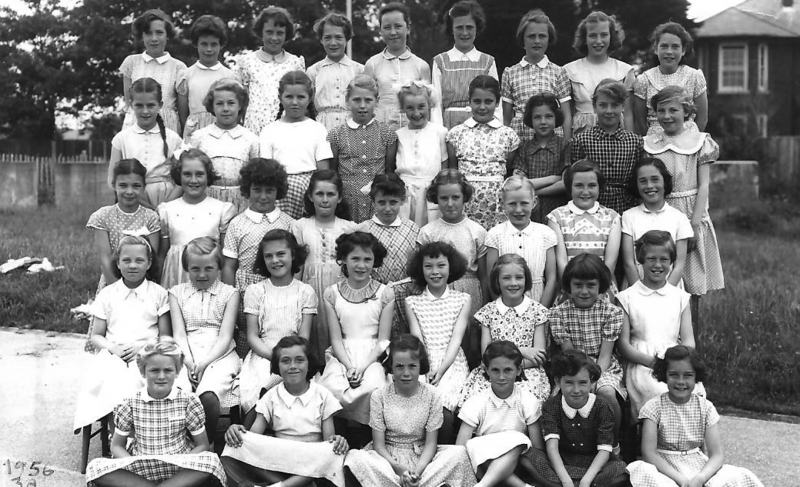 School children who attended Holbrook School after World War Two, when the huts became classrooms, recall playing on the blocks that bordered the hutments.